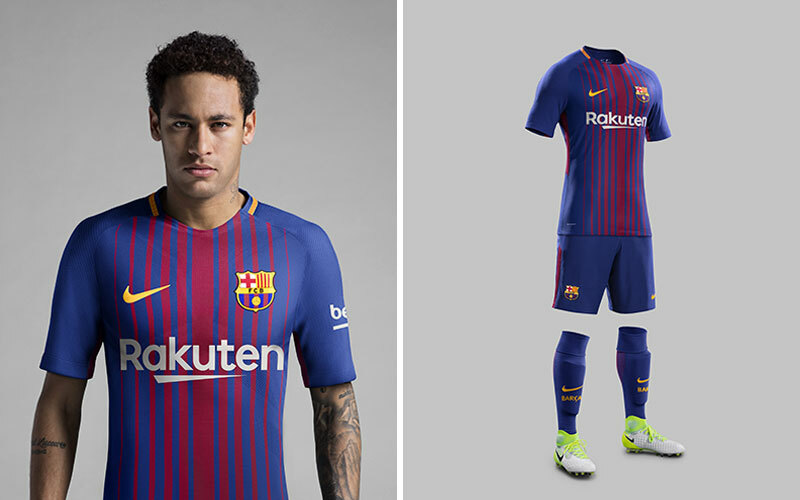 Introducing the 2017/18 home kit for FC Barcelona. Designed with the latest cutting edge Aeroswift technology from Nike, the Catalan super-club and the Culés will be hoping their new striped number will see them regain their dominance in La Liga and the Champions League. 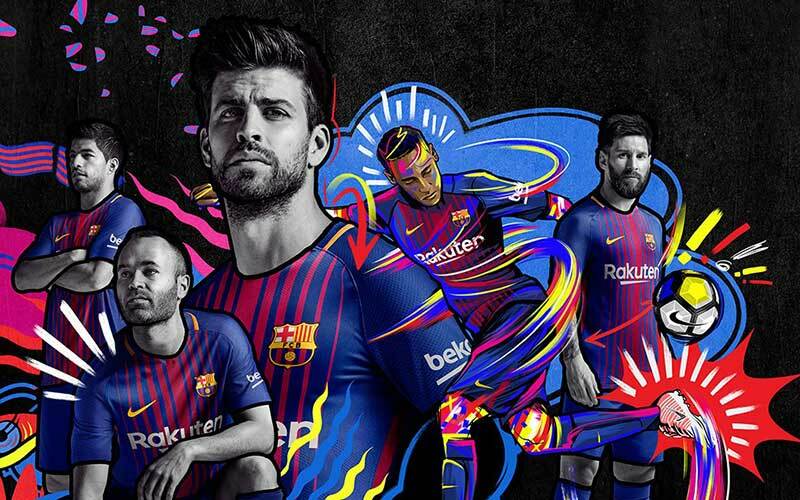 Featuring an updated take on the iconic Blaugrana design, the 17/18 edition sees increasing and decreasing sized red stripes — compared to the more even and consistent stripes of the 16/17 home shirt. 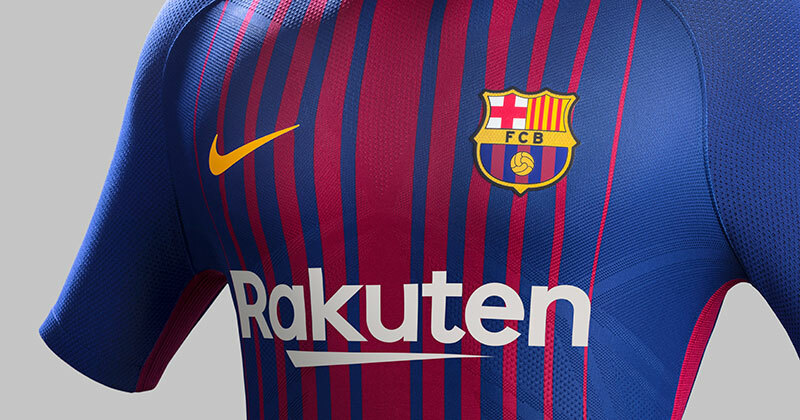 Centred around a new interpretation of Barcelona's traditional blue and red colours, the shirt also includes a Catalan flag which runs along the jersey's collar, plus the words "Força" and "Barça" on the inside of both the left and right sleeve individually. The split striped design is also present on the socks of the home kit too —which include Nike Grip technology for a better lockdown in your boots, rounding off a very sleek and smart combination on a heavy deep royal blue strip. 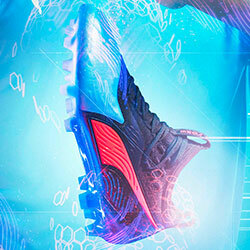 "Pulling on the new Barça kit for the first time creates a mixture of pride and optimism for the season ahead. 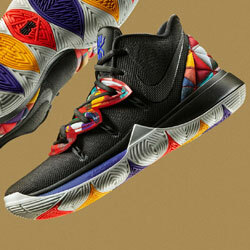 It looks and feels like a modern uniform of sport." The kit will be the first of Ernesto Valverde's reign at the Camp Nou, after Luis Enrique bowed out at the end of the 2016/17 season. 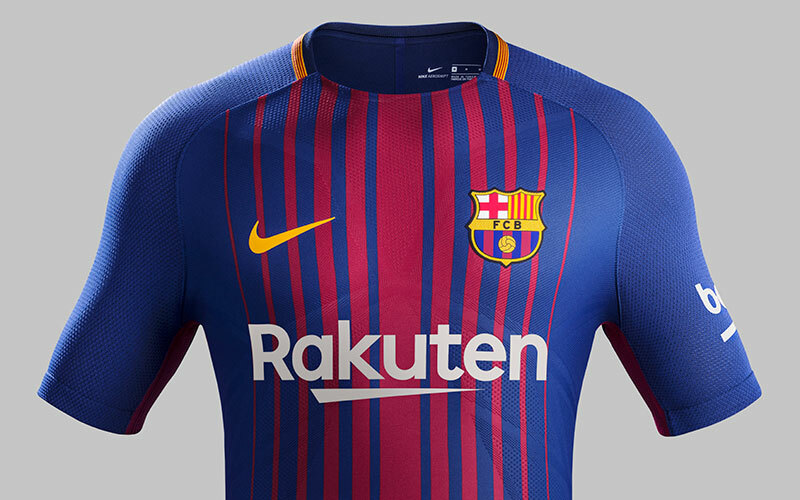 It's also the first shirt in their mammoth new sponsorship deal with Rakuten (Japan's biggest e-commerce company), which will reportedly see the Spanish side earn around £188m over the next four years. Engineered knit zones on the shirt create a subtle geometric pattern, which helps to enhance fit when players are going full throttle. 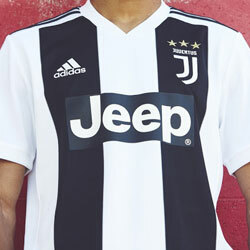 Similar to the previous Barcelona kits, there is also a red stripe which runs down the length of the strip and expands to provide essential ventilation during games. In terms of design, the 17/18 home shirt is reminiscent of 2012/13 shirt blue and red gradient style, with the thin stripes from the 2011/12 shirt. 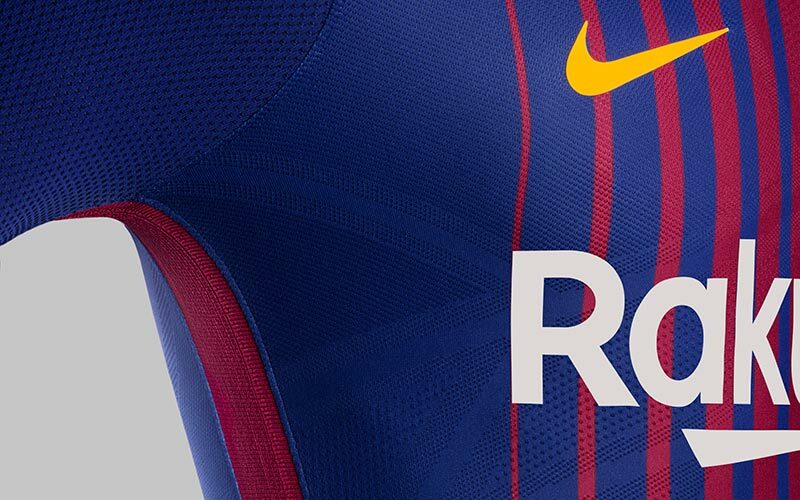 What do you make of the new Barça home top? 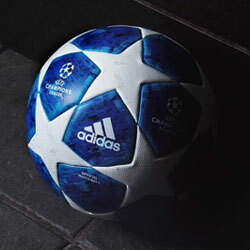 One of the best of recent years or has it seen better days? 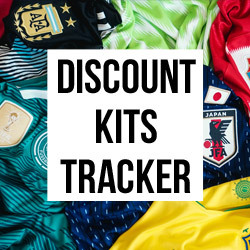 Discover the lowest price for the 17/18 Barcelona home kit at FOOTY.COM today.